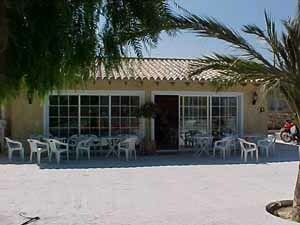 Finca Guila Bowls Benidorm Our Club is located in a beautiful, scenic area away from the hustle and bustle of traffic. It is on the Altea side of Benidorm, close to the village of Alfaz del Pi. 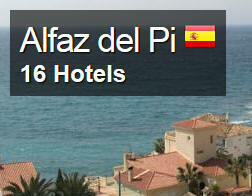 Click ABOVE for a list of Hotels,Guest Houses,Apartments and Villas in Alfaz-del-Pi. Finca Guila, Partida Almaira, Benidorm, Alicante. 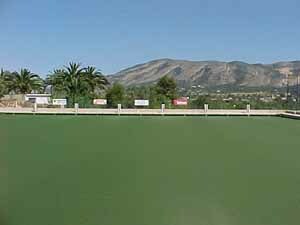 Our Bowling Club is located in a beautiful rural area on the Altea side of Benidorm, Alicante. To find us at the Finca Guila Bowls Club. Our Club is located in a beautiful, scenic area away from the hustle and bustle of traffic. It is on the Altea side of Benidorm, close to the village of Alfaz del Pi. Turn off the N332 (Alicante – Valencia road) between Km 152 and Km153 to Alfaz del Pi at the traffic lights on to CV-763. ·Now cross the railway level crossing and pass Almafra Camping on the left and slightly further on the Arabi complex on the right. Continue to the next roundabout and take the fourth exit. ·Proceed along the road for 800 metres. ·The Finca Guila Tennis and Bowls Club is sign posted, on the left. If you wish you can catch the No. 10 bus from Benidorm to Altea, getting off near the roundabout mentioned above. Alfaz del Sol Local for the Bowls Club. Alfaz del Sol is located 10 minutes’ drive from Altea. Set in gardens, this aparthotel offers free parking, a gym and 3 outdoor pools, one of which is heated to 27ºC in winter. Each modern, air-conditioned apartment has a balcony with garden views. More.